Fundraising is really a very individual thing, virtually always though someone does it for a cause they believe in, or to support someone they know running one. The options are almost endless, restricted only by your imagination, will and abilities. Fundraising can be a one-off or repetitive, obviously the more times the better from our perspective, but honestly every dollar does help. This page looks at some of the more personal, or individual ways you can fundraise to aid the foundation. But there are many other options, if you are into fitness, for example, you might like to participate in any of the many established events taking place all around the country. Or you may like to create your own event as ‘Coach’ Michael (Mick) Small did when he decided to compete in Wagga Wagga Takes 2, a charity fundraising talent competition, during the first half of 2016, to honour his mate Neil Billingham who died from mesothelioma asbestos cancer, in 2015. Corporations, businesses large and small, may like to make a difference by conducting in house fundraisers and become a Corporate Fundraising Supporter – the opportunities are only bound by your imagination. The Foundation is aligned with GoFundraise and Everyday Hero. It is easy to set up a fundraising page on either GoFundraise or Everyday Hero, It is quick and easy to do, and what is really great, as with the online credit card donation, everyone who makes a donation (and fills out the required contact information) receives a tax compliant receipt automatically. 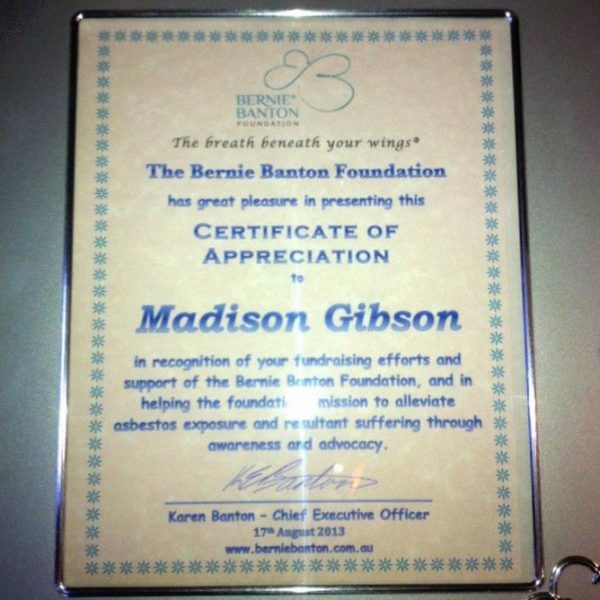 Many people decide they already have more things than they need, so decide instead of receiving presents on a special occasion, they suggest to their guests they donate to the Bernie Banton Foundation. Often this will be done in the memory of a loved one or friend. This is a really special and selfless thing to do, every dollar raised goes a long way at the Foundation. When the Foundation’s CEO and founder, Karen Banton and Rod Smith married, they decided, both having been widowed, and owning houses full of all they could need, to ask wedding guests to donate to the Bernie Banton Foundation instead. They were blessed when 99% of wedding gifts were donations to the Foundation. 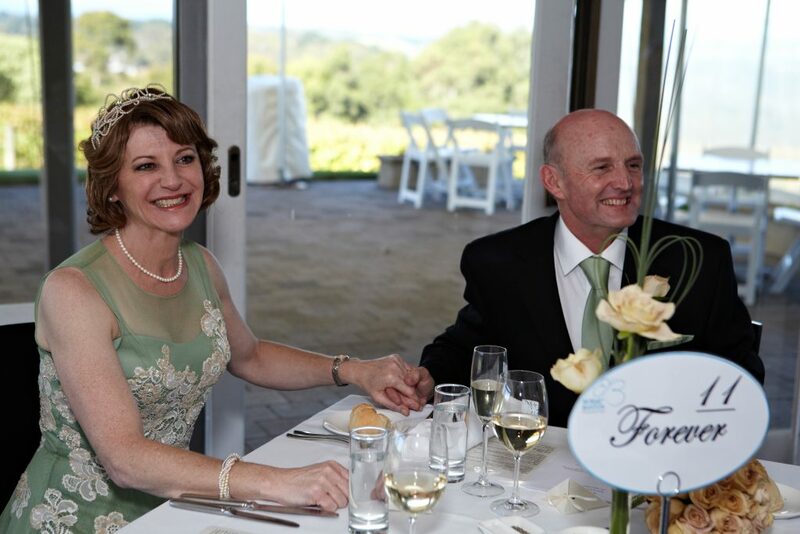 Karen and Rod were thrilled and the Foundation was appreciably better off – every dollar does help the Foundation to offer its asbestos victim support and advocacy services. Birthdays are a day where, quite often, selfless supporters ask loved ones and friends to give to the Foundation in lieu of presents. 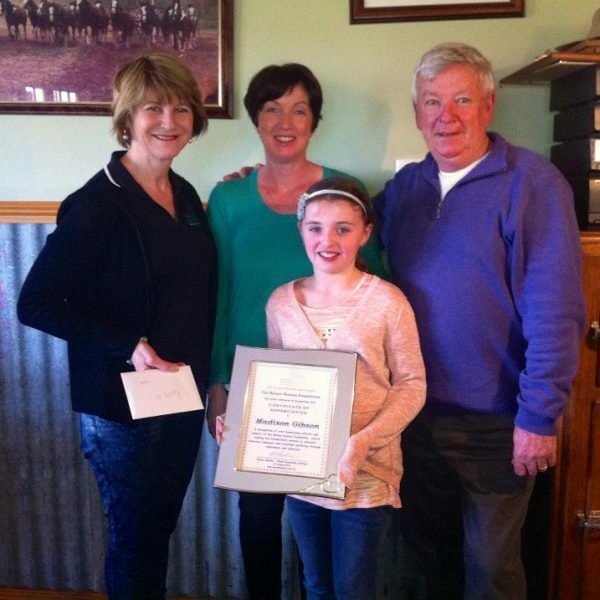 Victorian Junior Star, Hayley, gave up receiving birthday presents, and instead asked her family and friends to give to the Foundation as a way of helping. Why? Because Hayley wanted to support close friend Madi, whose poppy was diagnosed with mesothelioma. 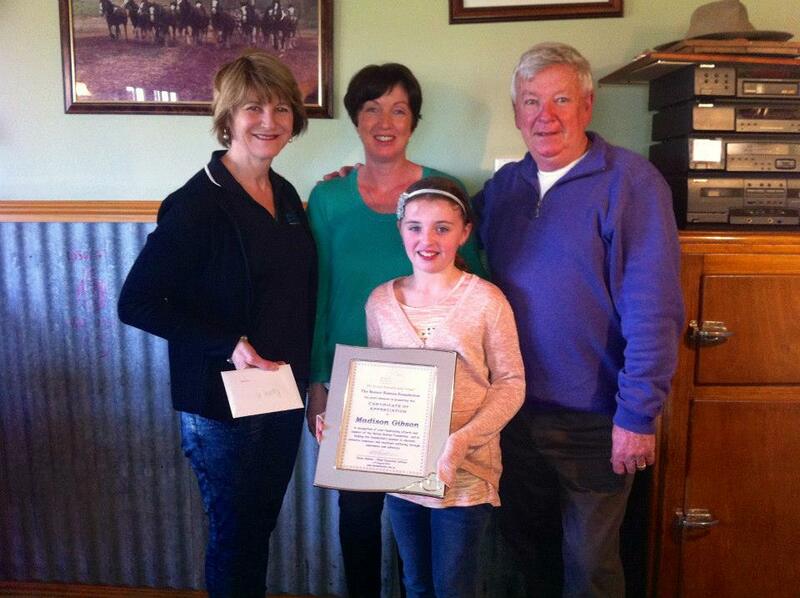 Madi is one of our very first Junior Fundraising Heroes, after her Pop was diagnosed, Madi fundraised at her school and door knocked her local community raising many hundreds of dollars. 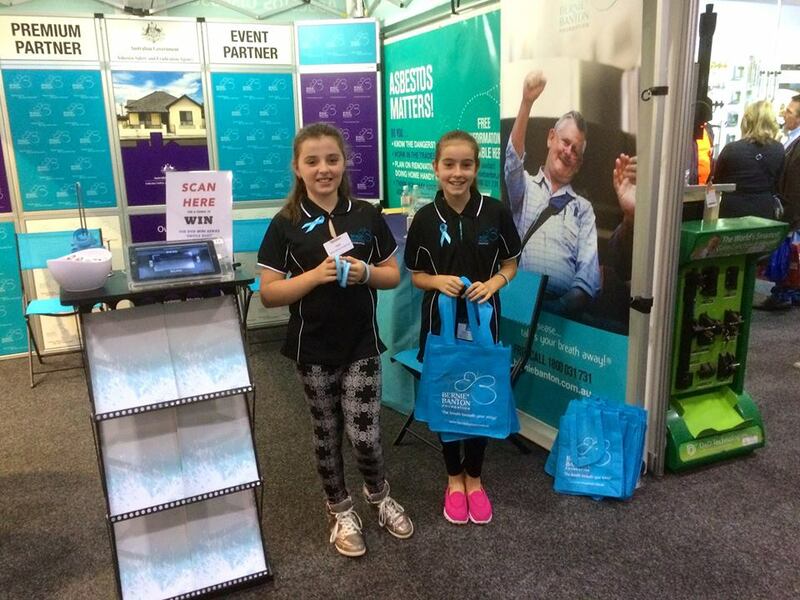 Madi and Hayley are truly Bernie Banton Foundation ‘Star’ Supporters. 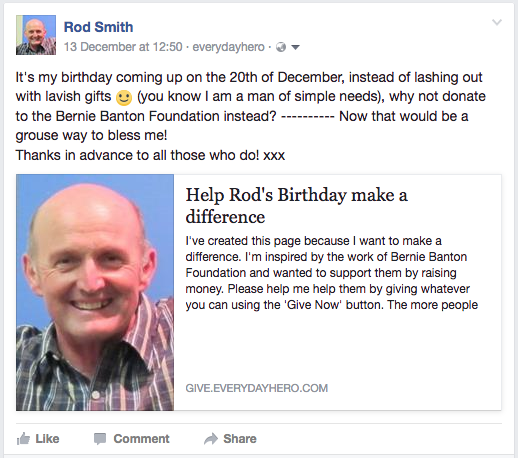 The Foundation’s Awareness and Support Co-ordinator decided he really didn’t need anything for his birthday, so utilising Everyday Hero he set up a Fundraising Page so his family and friends could donate to the Foundation……….. and you know, when you donate $2.00 or more it is a legitimate tax deduction. Young Queenslander, Alec Britton lost his grandfather, Tony Britton to mesothelioma in March 2014. Grandad wanted the family to support the Foundation, so Alec asked all his family and friends to donate to the Foundation, instead of giving him birthday presents. This wonderful selfless gesture raised many 100s of dollars in donations to the Foundation. Get really silly at a trivia night at home, or could you run one at your local pub? Workplace Matching Donation Programmes – Many socially minded and holistic companies conduct matching donation programmes where they will match donations made to accepted charitable organisations on a one to one basis. It is always worth asking the person responsible, often the HR manager. 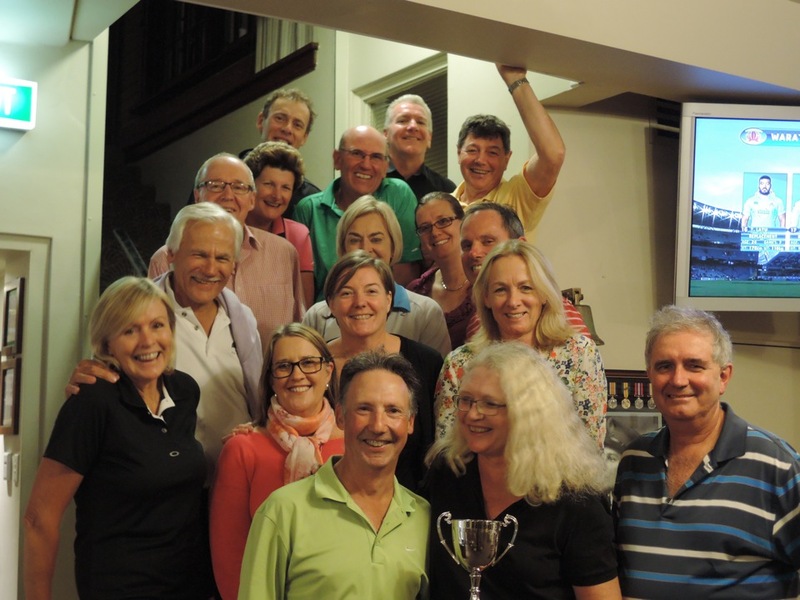 When a ‘very good mate’, Dr Andrew Lawson (from Oxford in the UK) passed away in February 2014, following a 7 year battle with mesothelioma, a group of Sydney, NSW golfers decided to celebrate his life, by having a small golf event on Anzac day, which coincided with a similar event happening at his home course in the UK. It was a great success, so they have now made this an annual event. 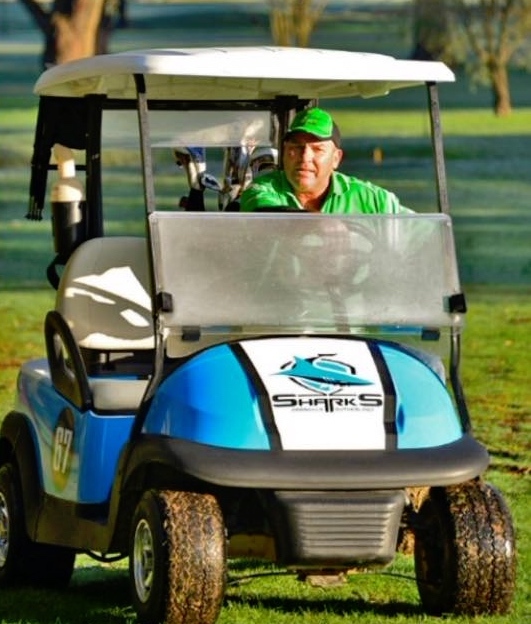 Proceeds from the Sydney golf day are gratefully received by the Bernie Banton Foundation, with the proceeds from the UK golf day going to a similar organisation in the UK. A golf day is a great way to raise funds for the foundation, and really simple – each participant simply donates to the Foundation in lieu of paying an entry fee. The great thing is, this donation can be fully tax deductible. 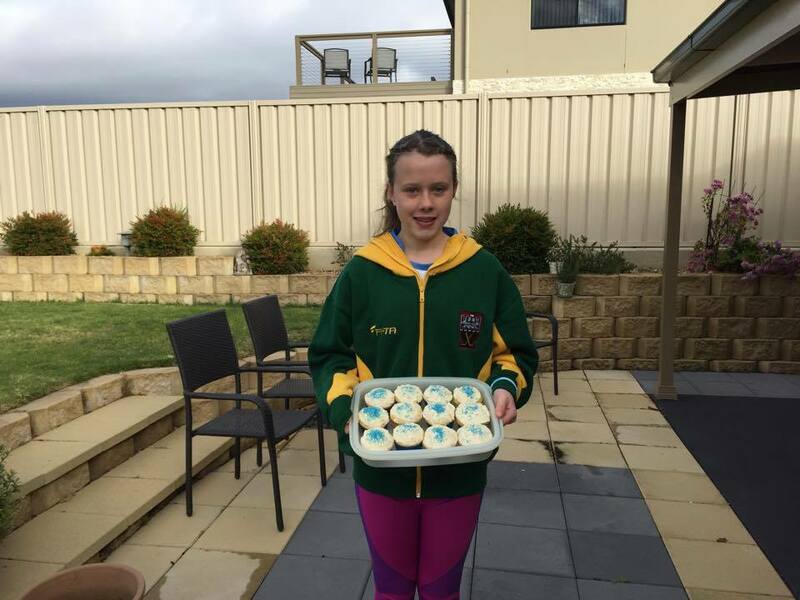 Brenna, from country NSW, lost her granddad to mesothelioma, and wanted to make a difference and support the Bernie Banton Foundation, so she baked cup cakes and sold everyone of them. Every dollars does count – thank you so much Brenna. 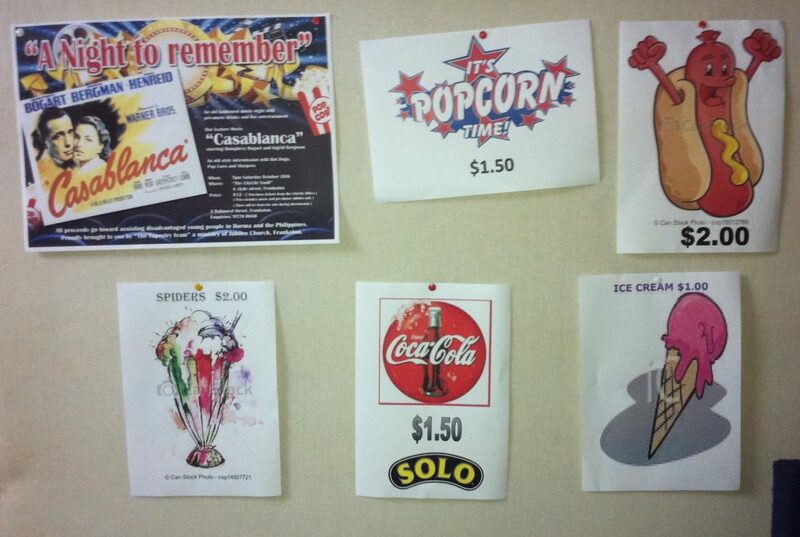 Hire a movie and have a themed night, they can be lots of fun – and a great way to fundraise! Our wonderful supporters in Queensland, conduct a trivia night to raise funds. It is a huge night! 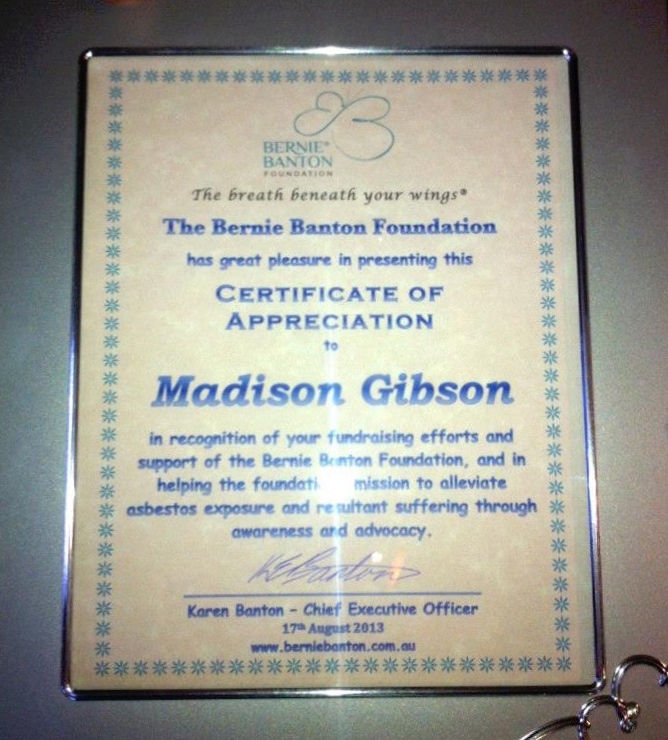 – Could you run an event of any kind to support the Bernie Banton Foundation? As the Foundation is a registered not for profit charity, donations $2.00 or over, are tax deductible. Making donations can be done by whatever way is best and easiest for you. It may be as simple as cash (please do not send cash through the post) or a cheque, making a direct deposit online, or a credit card donation, either online via our secure portal (a receipt is issued automatically if all contact details are correctly filled in) or over the phone by calling Karen Banton on 0412 830 485. Another way is to set up a fundraising page on either Everyday Hero or GoFundraise, It is quick and easy to do, and what is really great, as with the online credit card donation, everyone who makes a donation (and fills out the required contact information) receives a tax compliant receipt automatically. Please Note: If making a donation on behalf of a group, and individual tax receipts are required, then the donation must be made by either: cash, cheque, direct deposit or credit card (over the phone only). If a list of those who have donated, and the amount donated is received with the donation, then tax receipts (totaling no more than the full amount donated) will be generated manually for each notified donor. It is not legal to issue separate receipts against a single donation payment once a receipt (automatically generated or otherwise) has already been issued for the full amount – unfortunately, exceptions cannot legally, and will not, be made. Every dollar does genuinely help – can you support us by fundraising in some way? Please don’t hesitate to contact us if you have a fundraising idea you think you might like to get involved in. Drop us a line by email: info@berniebanton.com.au or text or phone Karen Banton on 0412 830 485.